Fake CCleaner is a set of malicious programs that are designed to imitate the reputable software. 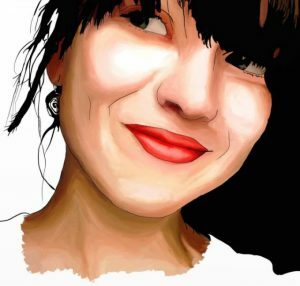 Bad actors often create counterfeit versions of renowned applications that could benefit them via ad revenue, info-stealing, or other activities. Since the original version of the app by Piriform Ltd enjoys its popularity among Internet users as a useful tool, scammers decided to use this opportunity and publish its malicious substitute. Since the title is the same, users might struggle to tell the difference. However, in case you recently installed the app and noticed some suspicious activity on your Google Chrome, Safari, Mozilla Firefox, or another browser, it is time to take care of Fake CCleaner removal. Activity Steals information, inserts a large amount of ads, etc. 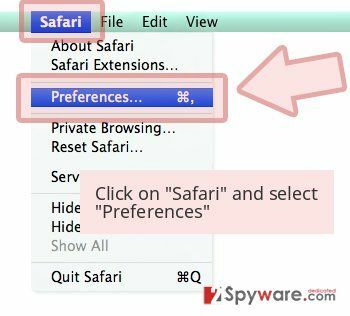 Browsers affected Google Chrome, Internet Explorer, Mozilla Firefox, Safari, etc. Symptoms Might show no symptoms, although users spotted slowdowns of the device, program crashes, increased usage of computer resources, etc. Fake CCleaner virus is usually installed via unsafe third-party websites, although they can also be bundled with freeware or shareware. Therefore, it is vital to be attentive when installing new software from the internet – find more details on how to protect yourself against Fake CCleaner attacks below. Increased usage of computer resources, etc. Without a doubt, users should immediately remove Fake CCleaner from their devices. Due to lack of symptoms, it might not be easy to determine whether or not Android, iOS, macOS or Windows operating system is infected. Therefore, best practice would be to employ reputable security application to check for malware and PUPs on the machine. In case the anti-virus program detected Fake CCleaner virus, or any other infection, eliminate it immediately and then scan your device with Reimage for best results. The most notorious instance of massive infections of CCleaner v5.3 virus occurred back in March 2017, when hackers organized a massive operation that allowed them to hijack official website and distribute the malicious version of the app to more than 2.3 million users. The malware was designed to harvest sensitive data from the infected users and send it to hacker-controlled Command & Control server. Additionally, it was found that hackers managed to execute second-stage payload on 40 computers located in major companies, such as Google, Sony, HTC, Linksys, Intel, and others. Researchers believe that the malicious actors were working on the operation for a long time before they pulled it off. Another one of Fake CCleaner variants comes from a company IConnect. The counterfeited program can be distinguished from the original version from its logo. Additionally, when installed, this application shows false error messages encouraging you to call a specific number. Do not get deceived and do not dial that number since a scammer waits for credulous users at the other end of the line! After calling for these scammers, you can receive an enormous telephone bill. Additionally, instead of helping you protect your system, scammers might fill your computer with additional malware instead, ask you to pay for bogus services they provided or make payment for useless subscriptions. Therefore, never trust error messages that display an alleged error message that prompts to call the tech support number. In fact, it has been discovered that this malicious version of CCleaner is another example of ordinary Tech Support Scam, where the latest its example is known as a fake Security warning. The essence of such fraud is to convince Internet users into thinking that their computers are infected with viruses and then encourage them to call a certain number. If they call it, they might get shocked after receiving an enormous bill from their telecommunication company. Moreover, the scammers might also offer to purchase additional fraudulent security programs. 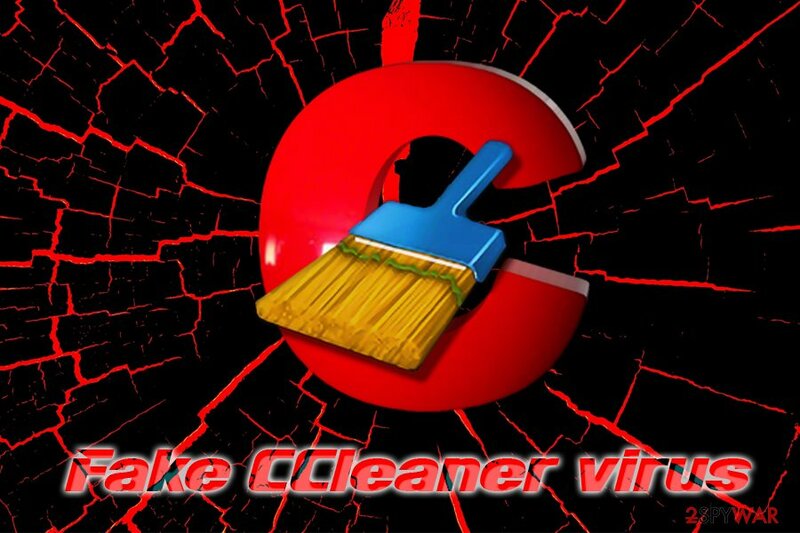 According to Avast, a security company that purchased CCleaner back in 2017, there is a new Fake CCleaner app in the wild, and it is targeting Chinese mainland users. It was first spotted on Baidu (internet-related service company, very similar to Google) app store with a valid certificate that was leaked from previous versions. The fake CCleaner 4.11.1 on Baidu does seem like a real version, apart from bad reviews and the incorrect categorization of “office learning utilities.” Another major difference is that the app has a different package name – com.star.ccleaner instead of com.piriform.com. Once installed, the Fake CCleaner virus displays ads and then freezes, resulting in a very limited functionality of the tool. Also, users can spot pop-ups, deals, banners, offers, coupons and other intrusive content on their browsers even when the app is off. Researchers believe that this bogus variant is targeted towards China-only users. Additionally, the Avast team found another two app stores that distribute this Fake CCleaner version – Tencent and 360. Both of the companies were contacted in order to remove Fake CCleaner from the official stores. CCleaner is distributed via free legitimate applications. However, it has been spotted that the installer of the fake version might also come along with the original version as an attachment. Most likely, it is due to secondary download sources. Since the majority of users tend to overlook the installation instructions, the add-ons which are already pre-marked get installed along with the primary program. 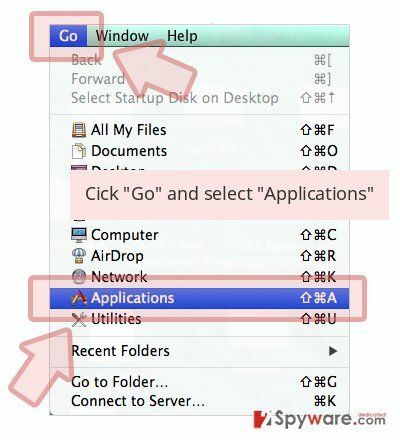 If you are interested in how you can prevent fake apps from entering your computer in the future, take note of this advice. Firstly, you should select the “Custom” installation rather than “Recommended” settings. Secondly, carefully uncheck the attachments if you find them irrelevant. If you think that you have been tricked and installed this scamware on your computer, you should perform the unwanted app removal without wasting your time. Also, don't forget to ignore its fake warning messages. Before proceeding with the installation, make sure that app is not asking for admin rights. Though this program might be quite treacherous and malicious, removing it should not cause problems. There are two main ways you can initiate Fake CCleaner removal. 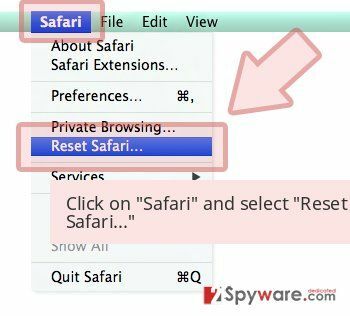 You install a powerful anti-spyware program or make use of our manual guide below. 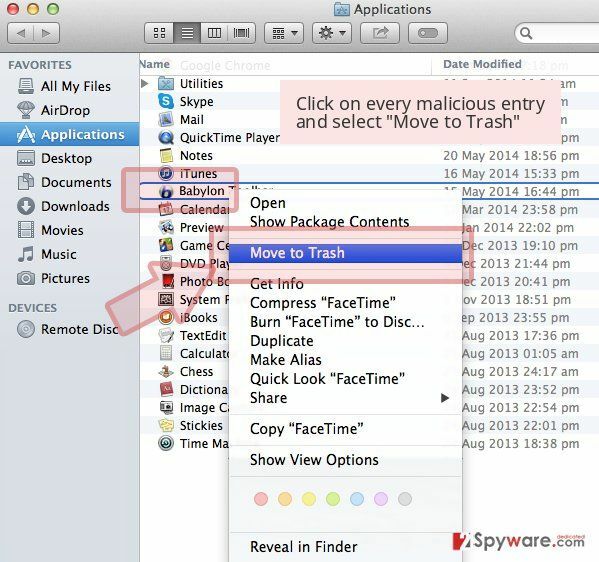 It is designed not only to terminate malware but delete suspicious applications as well. Therefore, such a program is highly beneficial for any Internet user. You can also follow manual instructions provided below to remove Fake CCleaner as well. However, depending on the version of the bogus app, manual elimination might be almost impossible. In such a case, simply download a reputable security application and run a full scan on your device. Here, look for CCleaner (fake) or any other recently installed suspicious programs. Wait until you see Applications folder and look for CCleaner (fake) or any other suspicious programs on it. Now right click on every of such entries and select Move to Trash. When in the new window, check Delete personal settings and select Reset again to complete CCleaner (fake) removal. Once these steps are finished, CCleaner (fake) should be removed from your Microsoft Edge browser. Here, select CCleaner (fake) and other questionable plugins. Click Remove to delete these entries. Now you will see Reset Firefox to its default state message with Reset Firefox button. Click this button for several times and complete CCleaner (fake) removal. Here, select CCleaner (fake) and other malicious plugins and select trash icon to delete these entries. Click Reset to confirm this action and complete CCleaner (fake) removal. 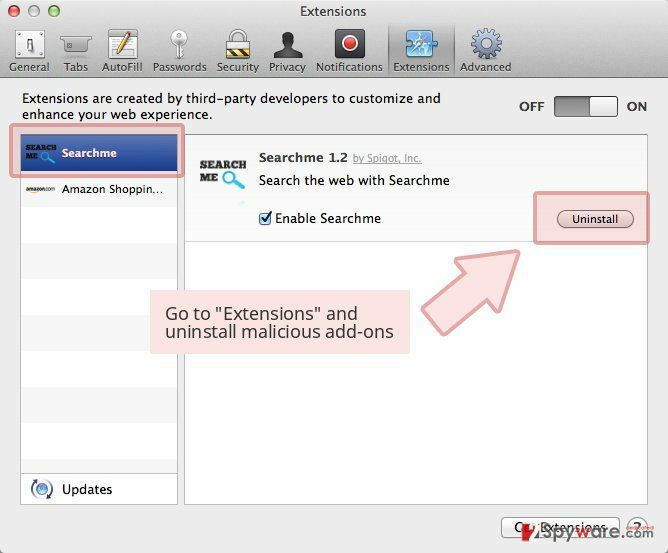 Here, select Extensions and look for CCleaner (fake) or other suspicious entries. Click on the Uninstall button to get rid each of them. Now you will see a detailed dialog window filled with reset options. All of those options are usually checked, but you can specify which of them you want to reset. 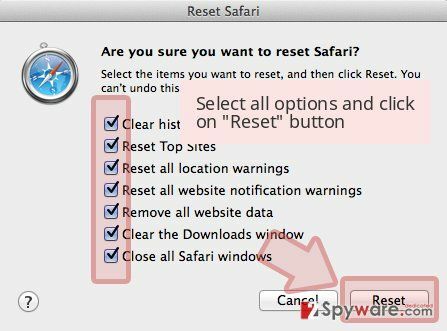 Click the Reset button to complete CCleaner (fake) removal process. ^ Swati Khandelwal. CCleaner Attack Timeline—Here's How Hackers Infected 2.3 Million PCs. The Hacker News. Most Popular Cyber Security, Hacking News Site. ^ How to Spot, Avoid and Report Tech Support Scams. FTC. Federal Trade Commission. ^ Jen-Yu (Bill) Tsai. Fake mobile CCleaner app sneaked into the China Baidu app store. Avast. Security blog. ^ Baidu. Wikipedia. The Free Encyclopedia. This entry was posted on 2019-03-07 at 05:37 and is filed under Malware, Viruses. You can quickly scan the QR code with your mobile device and have CCleaner (fake) manual removal instructions right in your pocket. How did you remove CCleaner (fake)?